This is the second part of the Peek of the Unique tour of the Island of Homes on Sanibel, Florida. If you missed part 1, click here. The last home on the tour was called The Pioneer Dream Home situated on a historic tract of land claimed by Sanibel pioneers in the 1800s. This home has stayed in the same family for over 100 years! Another interesting fact from this very unique homestead, the movie “Night Moves” was filmed on this site. A great cast included Gene Hackman, Susan Clark, Jennifer Warren, a young James Woods, and a very young Melanie Griffith. 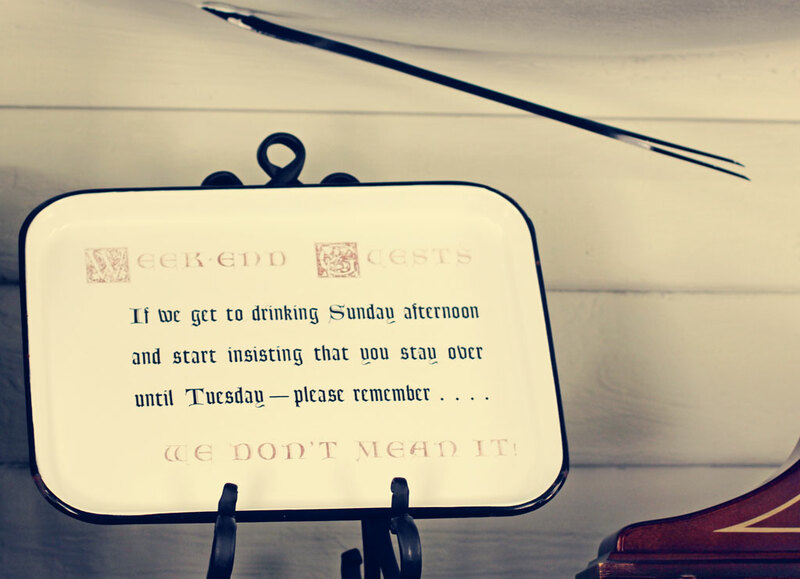 This sign sits on the mantel in the cottage. Isn’t it wonderful when something makes you smile? How long has it been since you seen a rotary phone nailed on a post outside? Beautiful…glass door knobs on all the doors! This was a great vintage rustic adventure…a rare event indeed! I hope you found some love here on this post? Could you tell me which one your eye pulled toward the most? Let’s talk about footers on your blog. You might of noticed…I have changed the layout of this blog and made the footer a very important part of this process. Readers will come upon your post, then read the comments and where does this land them? Right….at the footer of your blog! This is an area of great importance…use it wisely. links to categories, tags, archives etc. Love the feel of your photos. Thanks for sharing them. Love your blog and your photos! Beautiful. Thanks for the great tips you post. They are not only excellent for photographers, but for bloggers as well. Be at peace today. You deserve it! Great photos and love the guest sign! Really like the first image–and thanks for the tip about the footer. I must give it serious consideration. Excellent job. Thank you for sharing. Laurie, there are such wonderful hues in your photos. And I love the large pictures — however, I am finding the long lines of text very difficult to read. Thank you for letting me know your feelings on this. I will start to break up the sentences more. Sorry, I just meant the wiidth of the lines of text, not the sentences themselves. 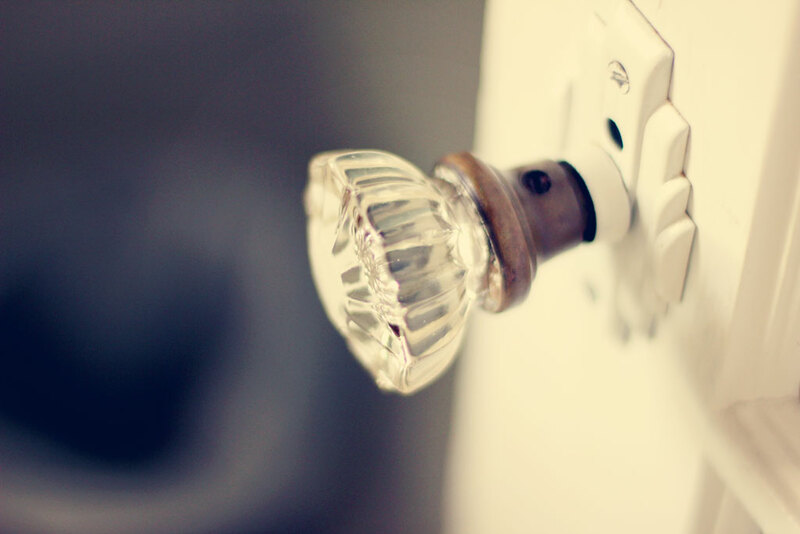 I loved that glass knob and overall, I loved the color of these photos. what beautiful photos! i am drawn to the photo of the door with the tree leaning into it. thanks for the tips. Super like the photos in this post. Favorite – the door nob. Have a great weekend. Beautiful photo’s, and that sign is cracking me up! beautiful photos. thanks for linking with IP. Awesome photos! I love the hue/edit!! Interesting color balance. I used to have my blog set up a bit like this, Nishita full width with a footer. The trade off is no infinite scrolling. Using Twenty Twelve I am full width with a separate “About” page formatted with a footer. I like visiting old places. I wish I could trust my car enough to visit mountain ghost towns this summer. what a treasure trove you found! Beautiful pics again! 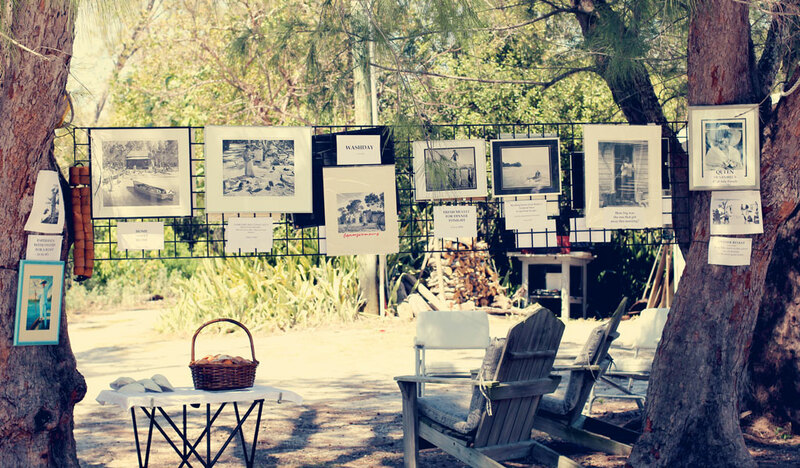 What a cool idea for an outdoor display of photography! What a lovely old place, and your photos are wonderful. Love the crystal door knob. Wonderful photos – such a lovely soft texture in them. These are so vintage! I love the processing on these for that days gone by feel. great images of a compelling place. and your treatment of them is great. Laurie – you gave me some dabs of visual joy. I always love your closeups — so today I loved the telephone (and the memories of being tethered to a stretchy cord and not being able to walk while I talk), the crystal doorknob, and the depth marker. Love all of your photos. 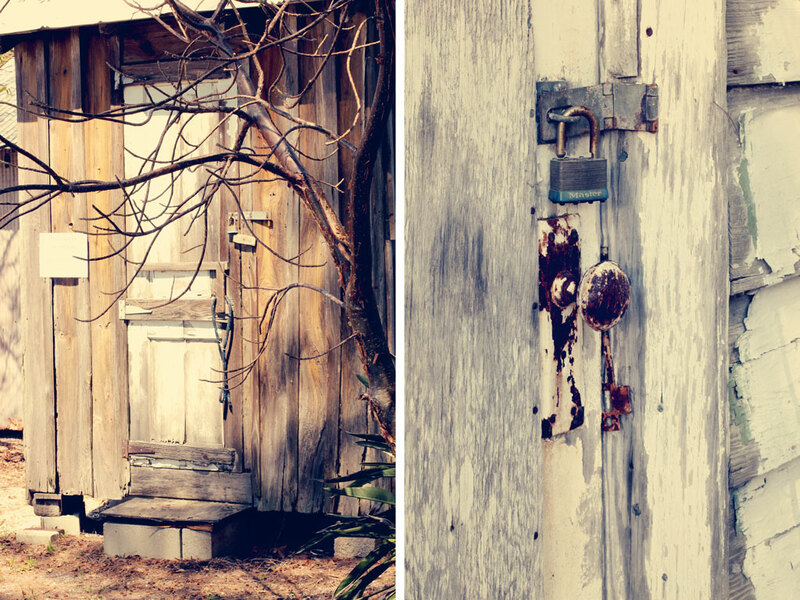 Loved the doors and rusted knobs. Love the picture of the doorknob! One of my favorite parts of my apartment is that type of doorknob on my coat closet – just a fun pop of character! I love all your vintage photos Laurie and particularly the crystal doorknob. Thanks for the tips. I have been spending a lot of time researching WP themes as I am wanting to change mine. I’m a little nervous about doing so, I guess afraid I might lose something in the process. The vintage editing rocks! At first, I thought the second photo until I saw the doorknob, and then I saw the flowers, so you can see it is a dilemma to pick a favorite. My eye was drawn by the doorknob because I was just remaking to my DH yesterday that who knew all the old things that were around when we grew up would be so popular now! Love your images here, Laurie! I really like the vintage tones!! I’d love to visit there someday! And thank you for these tips! Haven’t been here on WP for a little while, and I’ve missed dropping in on you. I’ve been using Blogger more often the past few weeks, mostly for Texture Tuesday. Haven’t seen you in the link-up on Kim’s page, though! Hope to see you soon! Deborah, I didn’t realize you are keeping up TWO blogs…wow…that is crazy…I don’t know how you are doing this! You rock. Wow – so beautiful and evocative. Great photos. Like the advice at the end too! 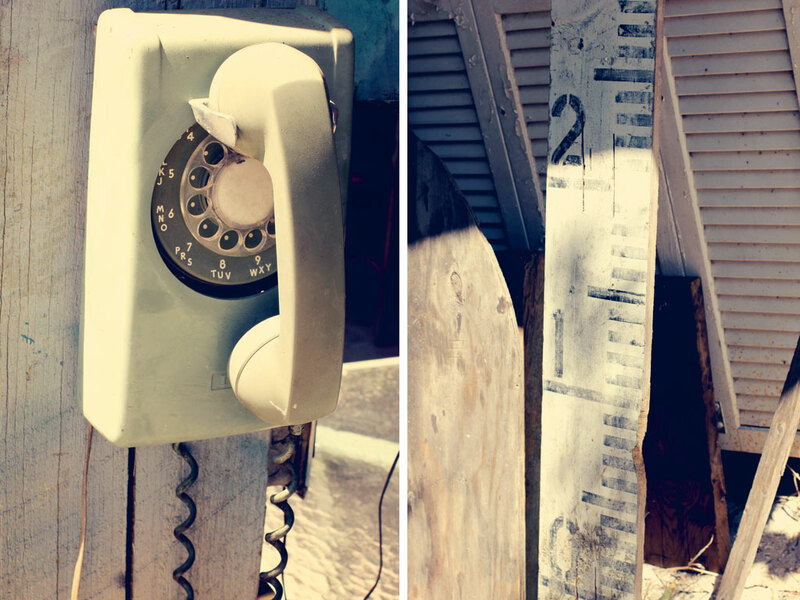 Love your vintage adventure, Laurie … it’s neat to see things like that telephone of yesteryear. I can see you might be a bad influence on my Kobi, giving him advice to go ahead and take a lick of my frozen yogurt while I’m not looking! LOL I’m sure he would have loved to, but I was a bit of a gluten!! Thanks for visiting Walk and Click Wednesday! Such wonderful photos my friend. Looks like such a cool place to visit.. Thanks again for sharing it with us. Laurie, I love all things vintage… but the picture that grabbed me most was the glass doorknob. My HH made me a wooden curtain rod with a glass knob on each end. I love it! I am really enjoying your photography! Laurie I love the pic of the glass knobs. At one time I had them on all my doors. However I like all the pics. Great tips of the footer info. Thanks! I love the vintage look. Simply beautiful. And – you capture it so well. I like the one of the doorknob: the knob itself drew my attention. Gorgeous photos but I especially love the yellow roses – it just makes me smile! All of the photos are beautiful, but I was especially drawn to the the 2nd photo, I’m guess they are wooden spools of some type on a string, and the glass door knob. Beautiful!! Love the Weekend Guest statement – too cute. Great pictures! Thanks for sharing and have a great WW. So creative, I love this look. Great shots! So much I like from the shed to the doorknob to the Weekend Guest Sign. Love these shots. The doorknob and the phone stand out to me. I love great pics of ordinary items! Wonderful post and gorgeous photos. I loved the old glass door knob and the flowers in particular but they were all lovely – a great addition to the interesting history you shared. Thanks as always for the great blogging advice. Beautiful photos and a lovely vintage stroll. My eye went right to that door – mysterious! Thanks for the tip on using the footer – going to fix mine right now! 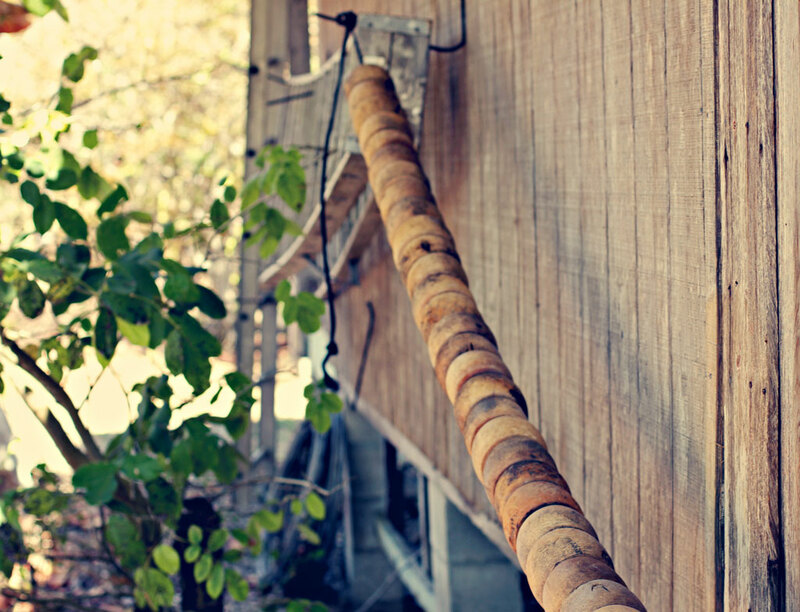 There’s something very appealing about rustic simplicity. Lovely photos! I too love the vintage look of these photos. 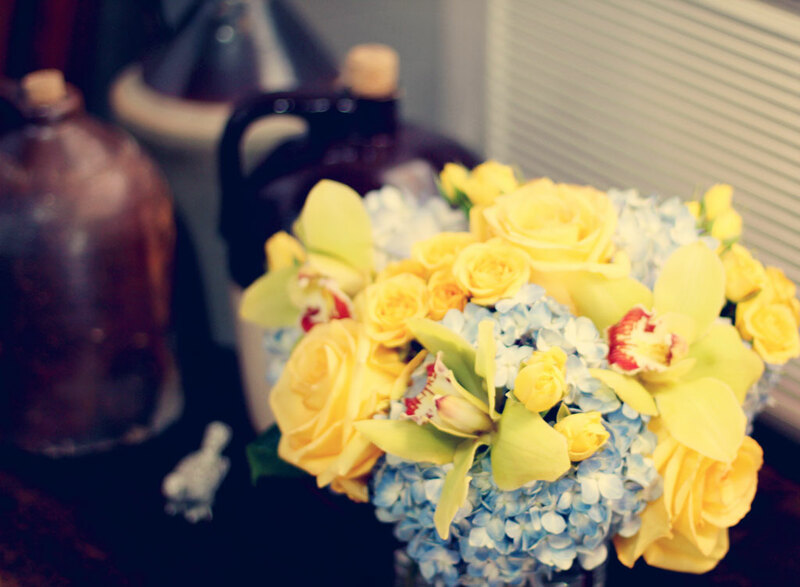 All pictures are beautiful but I loved the flowers because of their bright yellow! Love the vintage look of the pictures.